Lees Parke community features a mixture of upscale estate homes and large colonials. Builders of Lees Parke include Ryan, Ryland, NV Homes, Lennar, Richmond American, Evergreene, and DR Horton. Lees Parke offers a clubhouse - large enough for holding a party, swimming pools, tennis courts, playground, and basketball court. Enjoy a bike ride, walk or jog down the 5 mile long paved pathway along Spotsylvania Parkway amongst the beautiful landscaping of Lees Parke. There is a home available for every taste in Lees Parke; all with the added convenience of only 2 miles from I95 and shopping. 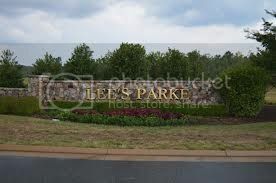 For more information about Lees Parke, please contact The Crews Team at 540-692-9144. Sign up on our website to get the latest homes for sale in Fredericksburg. When it comes to Lees Parke, The Crews Team is here to provide you with exceptional service.